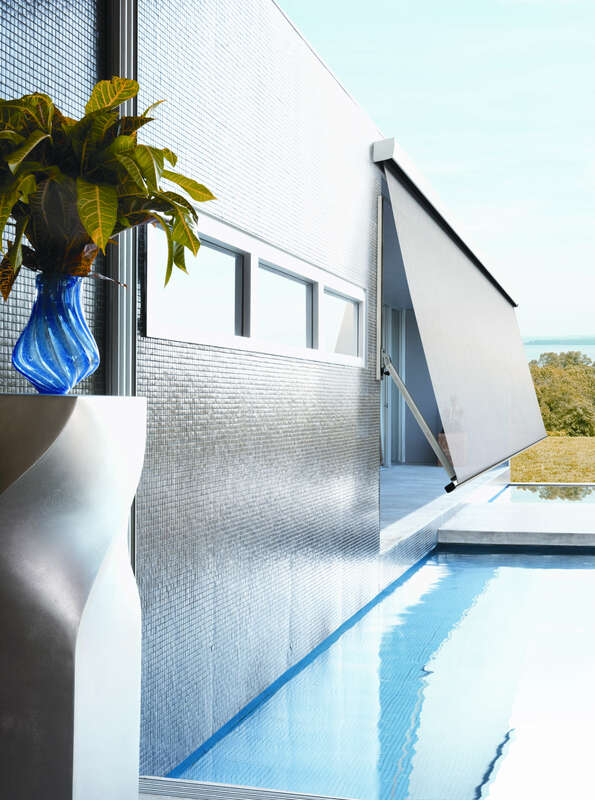 Designer blinds also provides external roller blinds, venetians and awnings. 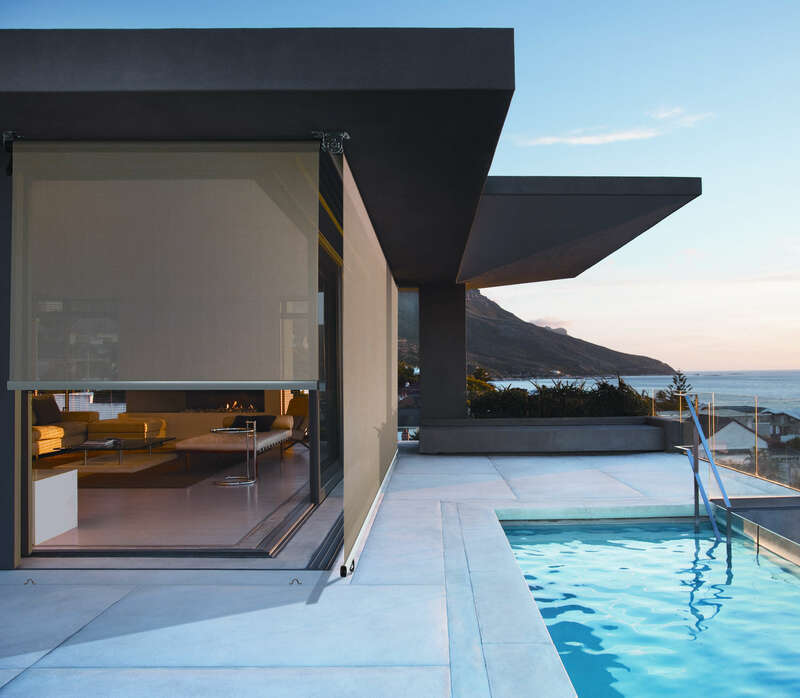 With wind tolerances far exceeding the industry average, our external products and outdoor blinds are designed specifically for West Australian conditions. 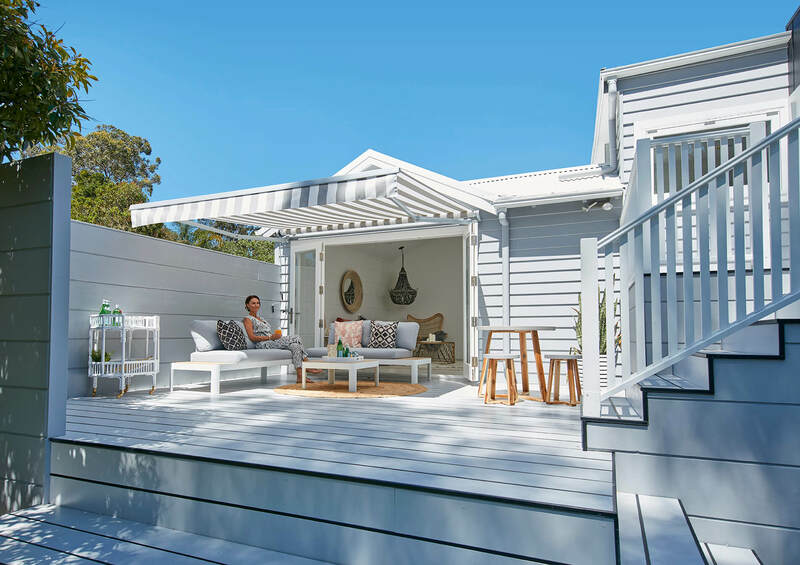 Made in Perth and customisable to every client’s needs and colour choice, our custom outdoor blinds are the most versatile on the market today. 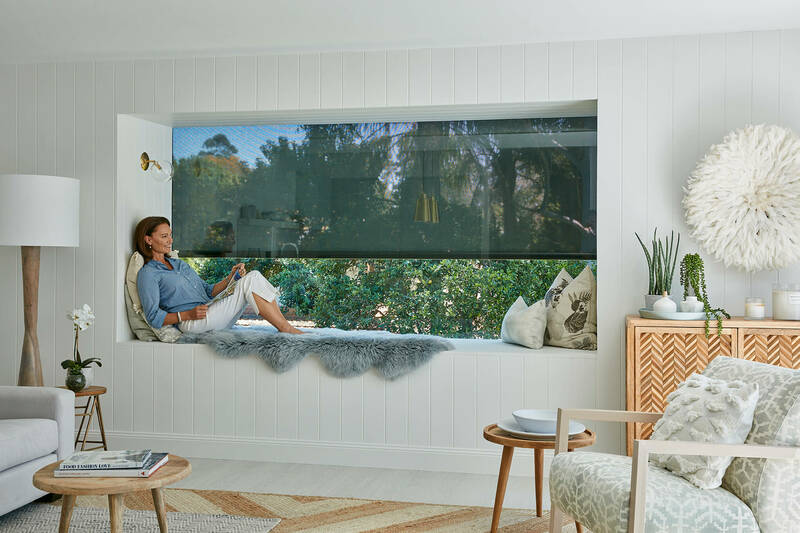 Our products can offer shading solutions for your house, outdoor patio blinds, outdoor blinds for pergolas and porches too, making Designer Blinds the place to go for custom exterior shading. The Alpha awning series is our latest addition, offering a variety of outdoor blinds including the drop down awning with side restraint system or wire guides, pivot arm awnings and folding arm awnings. We truly do offer the full range of custom metal awnings for your house or outdoor entertaining areas. 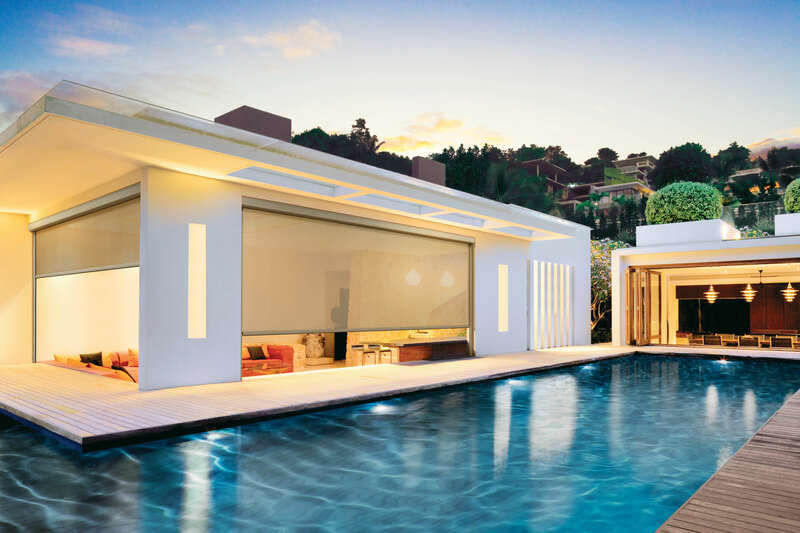 Our exterior sun shade fabrics are UV stabilized ensuring maximum product longevity and one of the most warrantable custom outdoor blinds on the market. 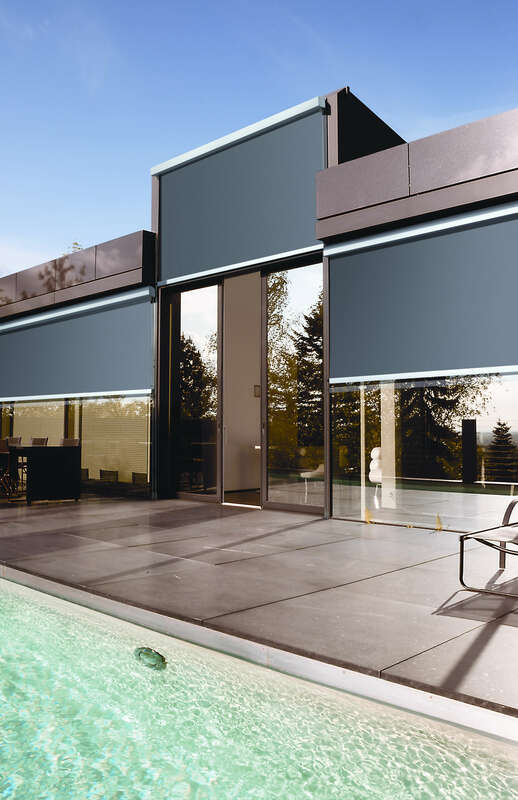 The Alpha exterior blind system is independently wind rated, setting it apart from most competing products on the market today. The Alpha SRS system is our premium outdoor blind, available with a full headbox, it has a unique floating channel that is fully serviceable, meaning that the blind is less likely to become wind affected and unlike competing systems; the face cover can be easily clipped on and off for cleaning and routine maintenance. Engineered to last, the Alpha system can be motorised or crank operated. 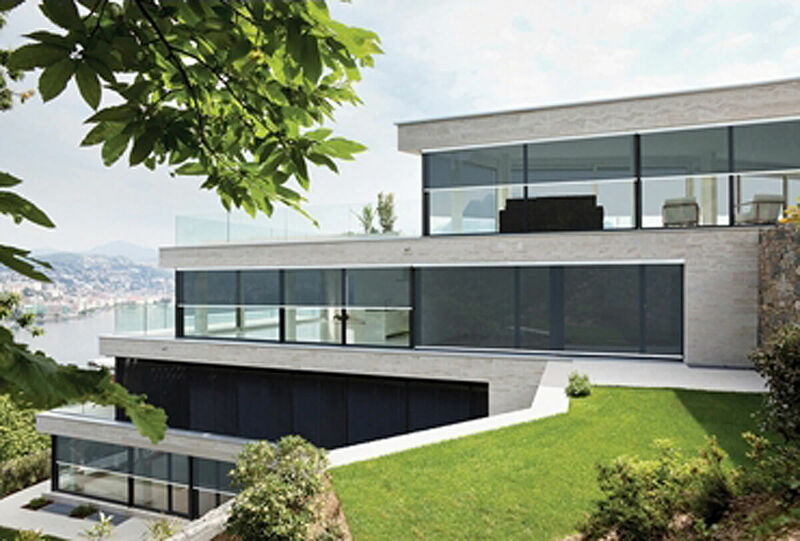 Our outdoor blind systems utilise powder coated aluminium and stainless steel componentry. This makes our products highly corrosion resistant and suited to Perth conditions. Outdoor blinds are child safe and effortless to operate thanks to our geared and motorised systems. The Alpha system does not utilise any ropes or pulleys, giving them a clean aesthetic and allowing your outdoor area to look it’s best. For a more architectural look we offer a wide range of aluminium shutters. 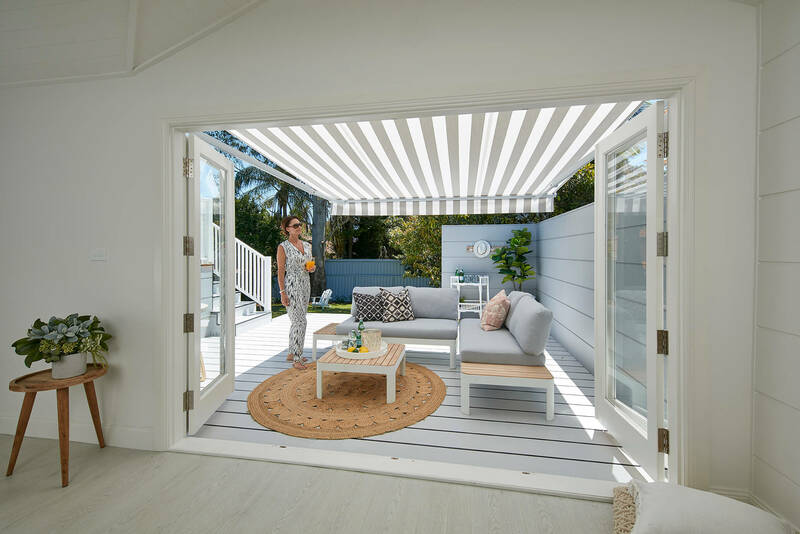 With our unique blade lock technology, you won’t have to worry about rattling blades or the wind opening and closing the shutter blades whilst you entertain in your alfresco area. Our aluminium shutters are 15% thicker than most other aluminium shutters and are perfect for enclosing outdoor eateries and alfresco areas. Contact us for a free measure and quote or visit our blinds page for more information about our full range of products.